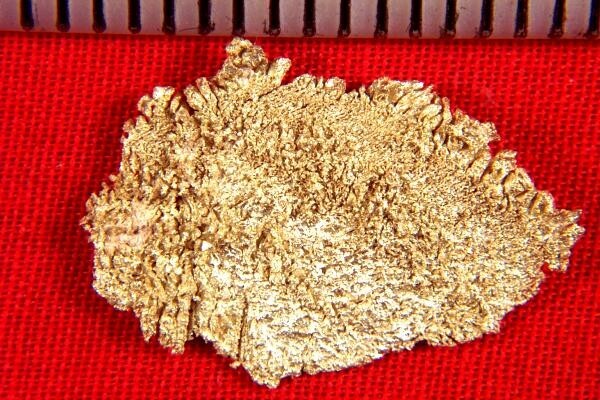 Electrum Plate Gold Nugget - Nevada - - It's Free! 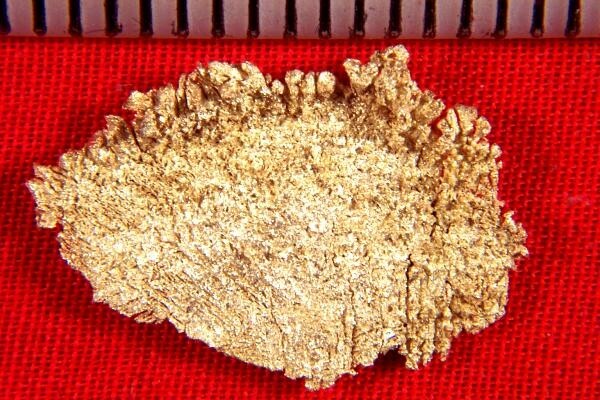 This electrum plate gold nugget from Round Mtn Nevada is a real beauty and very rare. Electrum is a unique mix of gold and silver, very beautiful. It weighs 16.8 Grains (1.09 Gram) and it is 7/8" long. No respectable gold nugget collection is complete without a few electrum plate gold nugget specimens, and you won't find a more beautiful one than this.